The row over the procedure followed in the selection of Kerala District and Sessions Judges took a new twist with two applicants who claimed they were victims of the process and were wrongly left out sending a representation to the Governor P Sathasivam seeking his intervention. In the representation to Sathasivam who is also a former Chief Justice of India, the candidates alleged that the process followed was in violation of the Kerala State Higher Judicial Services Special Rules, 1961 as well as High Court Notification. They also contended that the merit criteria and reservations have been infringed blatantly. The applicants said “glaring violations in the preparation of merit list for appointment as District and Sessions Judge rendered the merit list void and invalid. “We request the Hon’ble Governor of Kerala not to approve the merit list prepared by the Hon’ble High Court for appointment as District and Sessions Judge pursuant to Notification No. 9/2015 dated 30.09.2015. 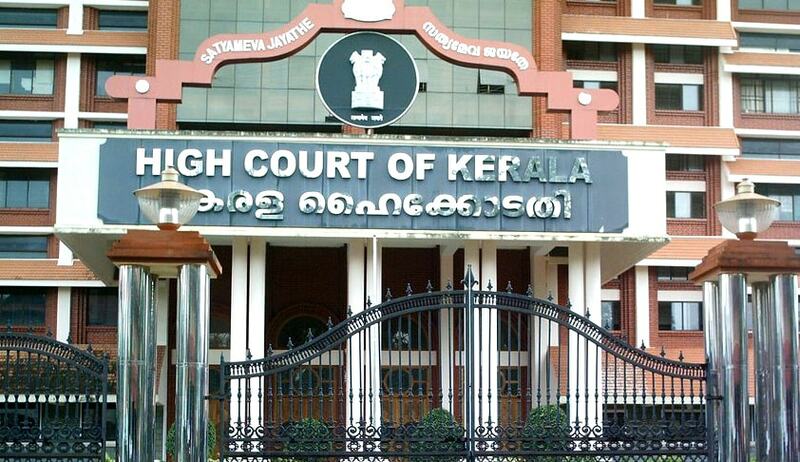 The Hon’ble High Court may be directed to adhere to the Kerala State Higher Judicial Services Special Rules, 1961, selection notification and the Kerala State & Subordinate Service Rules, 1958 and prepare the merit list on the basis of aggregate marks in the written test and viva voce, without insisting minimum marks for the viva voce”, said the representation. “From the merit list published by the Hon’ble High Court, we infer that we have been excluded from the merit list on the ground that we did not secure 50% marks in the viva voce. As stated earlier, neither the Kerala State Higher Judicial Services Special Rules, 1961 nor does the selection notification issued by the Hon’ble High Court of Kerala stipulate minimum marks for the viva voce. No addendum notification was issued regarding minimum marks for viva voce. In the absence of any prescription of marks for viva voce, either in the Special Rules or in the selection notification, it is arbitrary and illegal not to include a candidate in the merit list for the reason that he/she did not secure minimum marks in viva voce”, it said. The candidates said it is impermissible to change the norms of selection after the selection process has commenced. “Moreover, the decision of the Hon’ble High Court to prescribe minimum marks for viva voce is against Shetty Commission’s recommendations, which was accepted by the Hon’ble Supreme Court in All India Judges Association case AIR 2002 SC 1752. The decision of the Hon’ble High Court to exclude the candidates who did not obtain 50% marks in the viva voce is contrary to the law declared by a three Judge Bench of the Hon’ble Supreme Court in Ramesh Kumar Vs. High Court of Delhi - 2010 (3) SCC 104”, it said. “Hon’ble Governor, being the authority mandated by Article 233 of the Constitution to make appointment to the post of District Judge, has every right to advice the Hon’ble High Court to prepare the merit list in accordance with the Special Rules and the selection notification. As held by the Hon’ble Supreme Court, Article 233 of the Constitution of India requires effective consultation between the State Government and the High Court in the matter of appointment of District Judges”, said the candidates. The candidates said the enquiries made by them revealed that they were excluded from the merit list on the ground that they did not secure 50% marks in the viva voce. “It is submitted that in a similar circumstance, where the Hon’ble High Court of Delhi declined appointment to the post of District Judge on the ground that the candidate did not secure minimum marks in the interview, a three Judge Bench of the Hon’ble Supreme Court allowed Writ Petition filed under Article 32 of the Constitution of India and held that in the absence of any statutory requirement of securing minimum marks for interview, appointment cannot be denied - Ramesh Kumar Vs. High Court of Delhi . In the view of the law declared by the Hon’ble Supreme Court in Ramesh Kumar’s case, the decision taken by the Hon’ble High Court to prescribe minimum marks for the viva voce is arbitrary and illegal”, said the candidates.